ISLAMABAD: Pakistan Tehreek-e-Insaf Chairman Imran Khan said that the “greed” of the Sharif family is becoming a national threat. In his tweet, Imran also implied that the visit of Sharif brother to Saudi Arabia is to seek help from “foreign leaders” in order to save their wealth which has been plundered from the nation. On Friday, Imran claimed that former premier Nawaz Sharif is trying to get another National Reconciliation Ordinance (NRO). Reading from a piece of paper, Imran told reporters in a presser in Islamabad that one of the 11 companies in Dubai, the HDS Securities Pvt Ltd, owned 52 villas in Dubai. 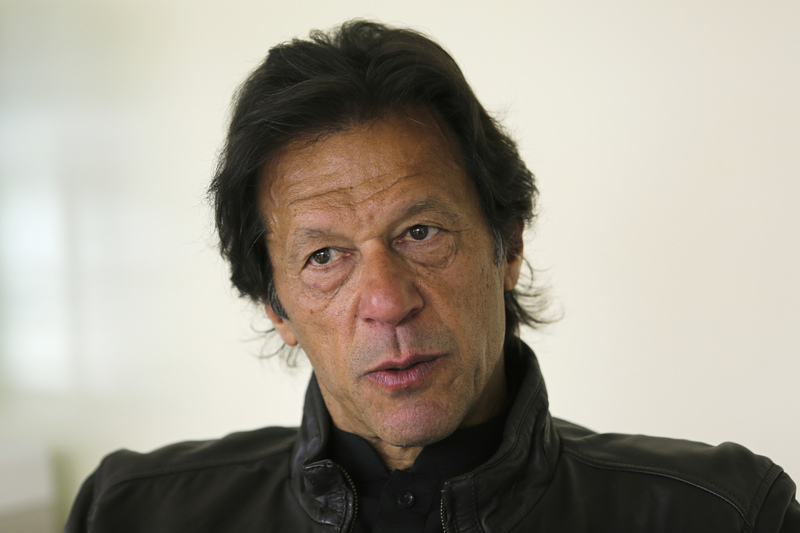 “Imagine how many villas others companies own,” Imran asked the reporters to think, as he went on to claim that these companies are being funded by the money coming in from Turkey, Oman, the United Kingdom and Switzerland. He said that this inflow of money from these countries meant that there were companies in other parts of the world as well. “There are two towers named after Dar’s sons in Dubai. Each of the two towers cost Rs10 billion. Where did the money come from?” questioned Imran. Narrating Dar’s humble beginnings, the PTI chief said that Dar came from a hard-working family, but his life took a turn when he met Nawaz and Shehbaz Sharif. “From 1981 to 2002, Dar never paid income tax, which means he didn’t have much money,” Imran claimed. Bashing former finance minister, the PTI chairman said Dar was sent away on leave, and not sacked, because the Sharif family feared he would divulge their money laundering secrets, as he did in 2000 in the Hudabiya Mills case. “The picture of Ishaq Dar lying on a hospital bed looking incredibly ill is a setup; they were trying to get him out of the country so their corruption is protected,” Imran said.